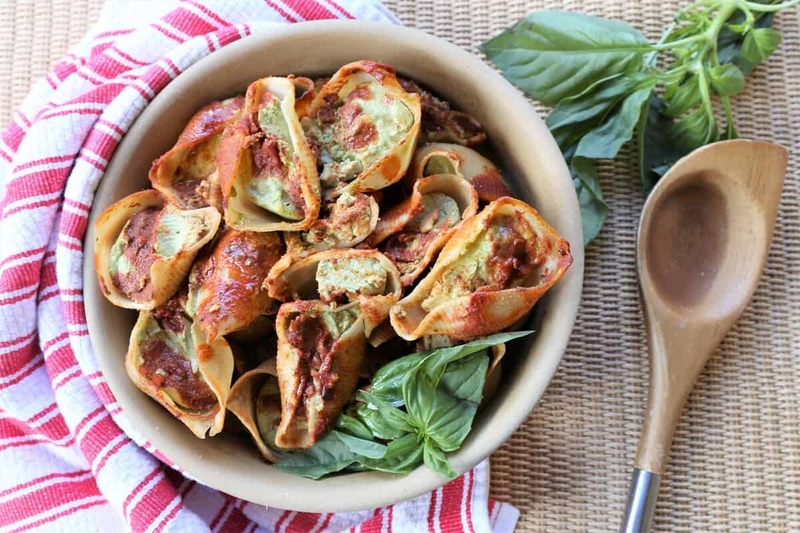 Spinach Garlic Stuffed Shells. Delectable, vegan, gluten free, dairy free! Spinach Garlic Stuffed Shells. This dish is quick, and easy and will make a beautiful presentation on your table. No one will be able to wait to bite in to the yummy spinach garlic sauce as it spills out of the shells. Tofu and cashews give the sauce a smooth, creamy texture that is just like ricotta cheese. 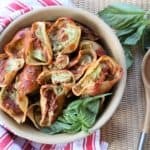 Add a salad and some fresh bread, and dinner is done.The preparation will take you less than an hour, and of course, the cream sauce and the shells are vegan, gluten free and dairy free. 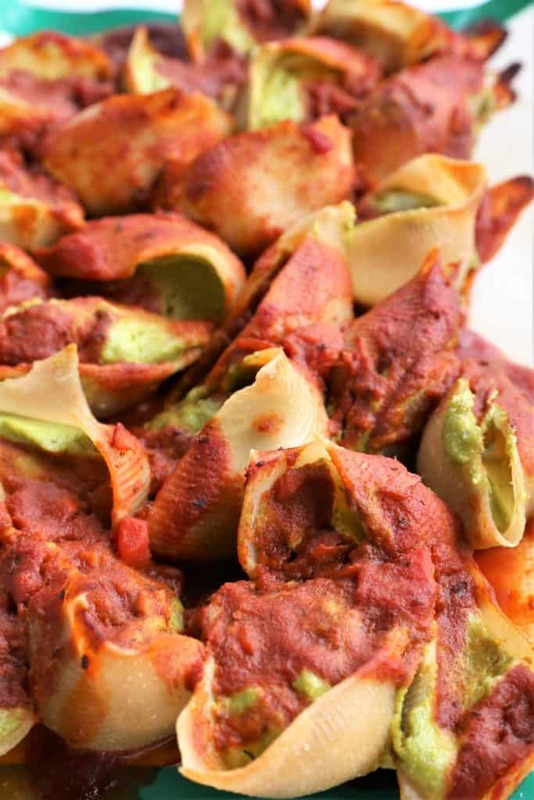 These scrumptious spinach garlic cream stuffed shells are vegan, gluten free and dairy free. Add all other ingredients except marinara sauce, to high speed blender. Blend until smooth. After shells are cooked, rinse them in cold water and spread out on baking sheet with parchment paper. 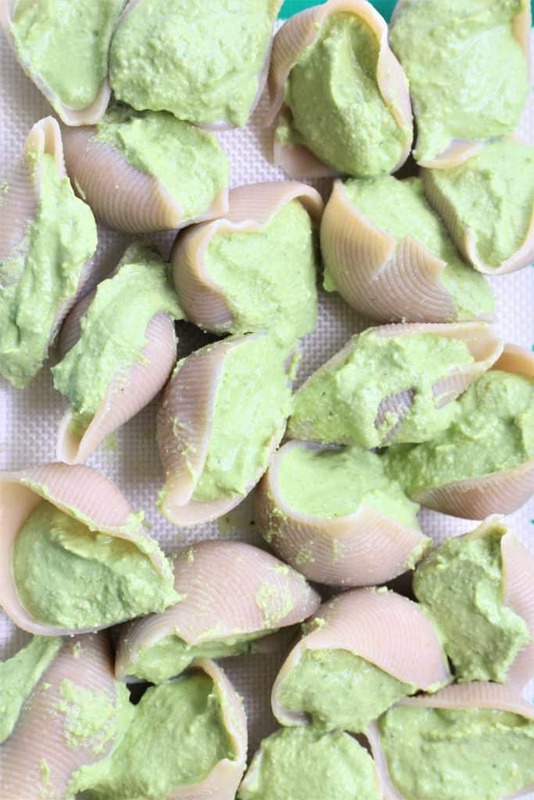 Using a small teaspoon, spoon spinach garlic cream mixture into shells. 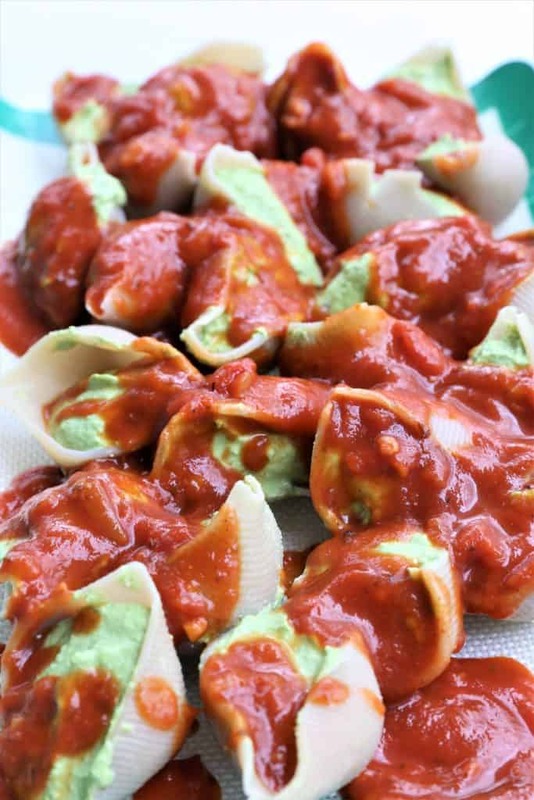 Pour marinara sauce over shells stuffed with spinach garlic cream.